Melkbosstrand and Robben Island (where Nelson Mandela was imprisoned for many years), then towards Sea Point, trendy Camps Bay, Sandy Bay, Hout Bay, the beautiful long beaches of Noordhoek and Kommetjie, and the sleepy seaside village of Scarborough. before returning along the same stunning route. This flight has a duration of approximately one hour and 15 minutes. 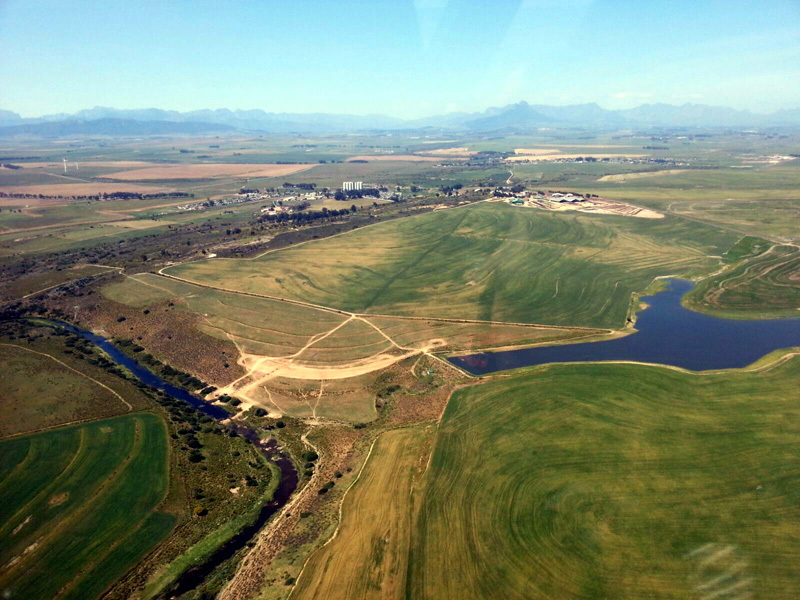 over Worcester, located on the famous Route 62, before returning to Diemerskraal. Flights can be booked as a standard flight only or a full day package. • Transport between your hotel / guesthouse / the central pick-up point and the airstrip. 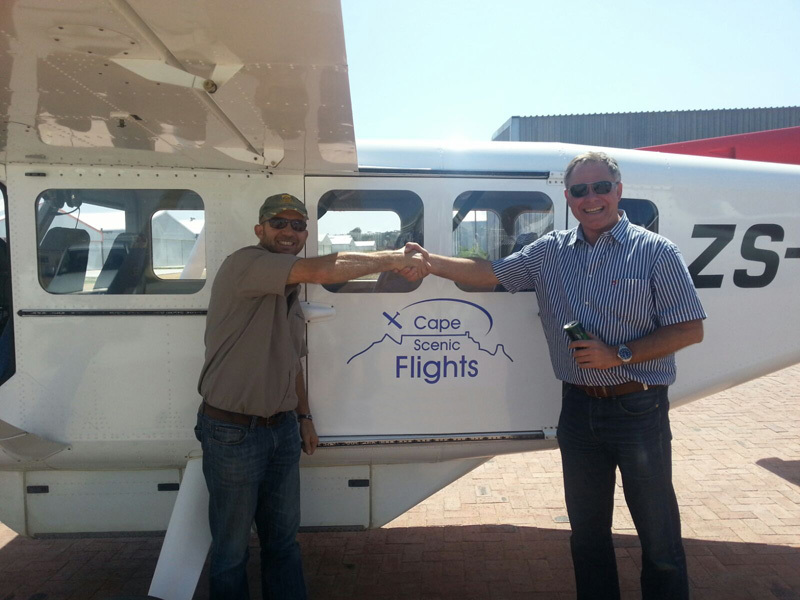 • An hour and 15 minute aerial tour (either option 1 or 2) of the Cape Peninsula. 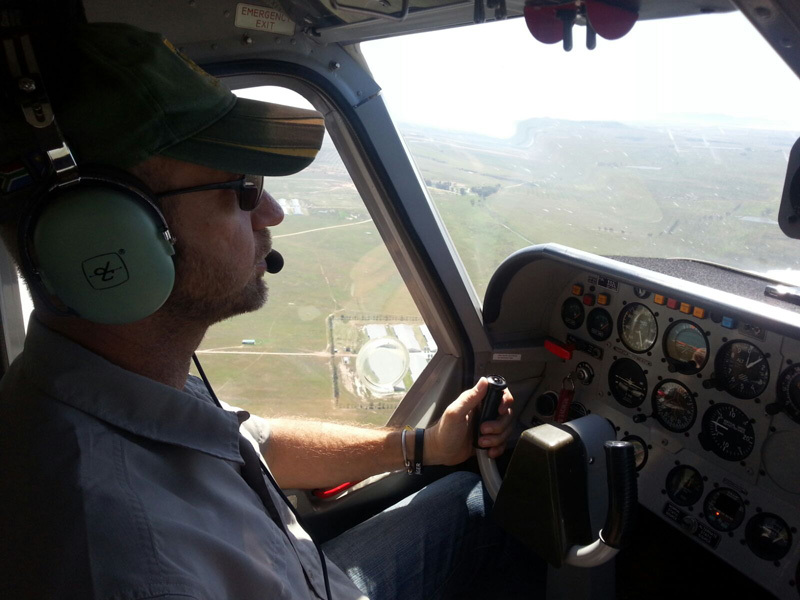 • A pre-recorded DVD recording of the aerial tour (one per couple or family, and one per individual booking). 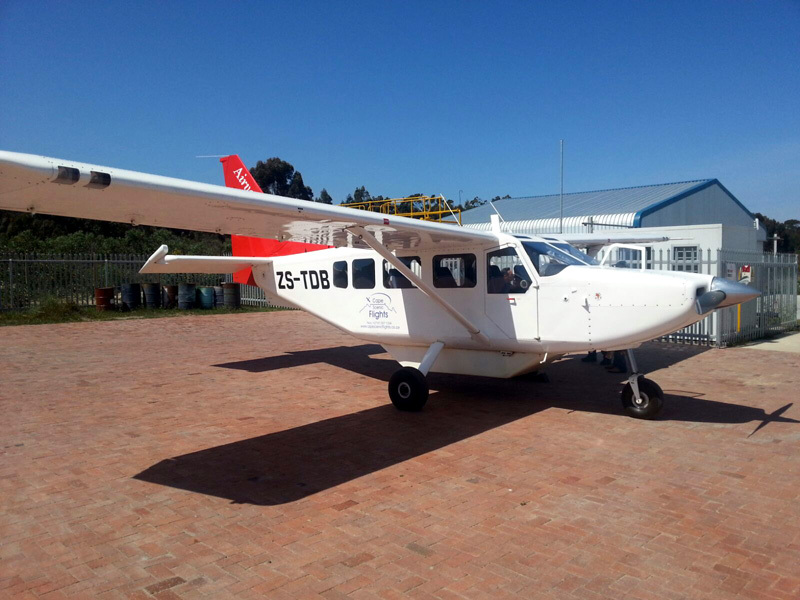 • Transport between your hotel / guesthouse / the central pick-up point and the airstrip, as well as between the airstrip and the two wine farms. 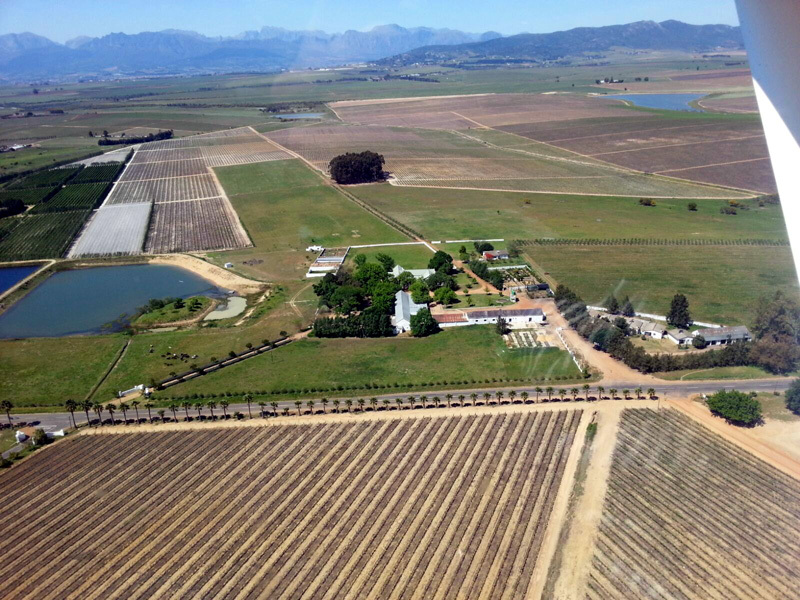 • A tasting of five wines at Meerendal Wine Estate, and a starter, main course and hot or cold beverage of you choice at Crown Restaurant (starters and mains to be selected from a list of three options each on the menu). 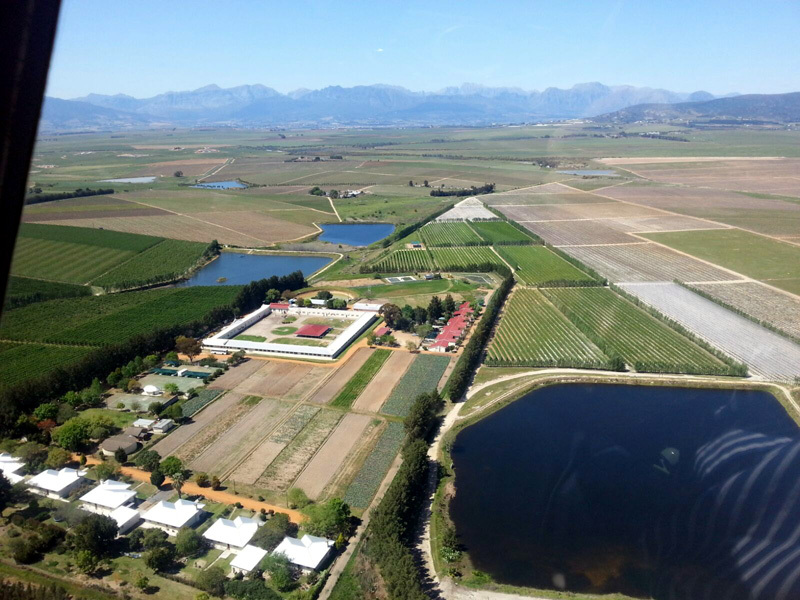 • A pairing of five wines and artisanal chocolates at Durbanville Hills Wine Estate. © 2018 - Cape Scenic Tours. All Rights Reserved.